This time last year, I was just wrapping an unsuccessful campaign to bring Scouts Honor to a theater near me. Now, a year later, I've finally seen the film. 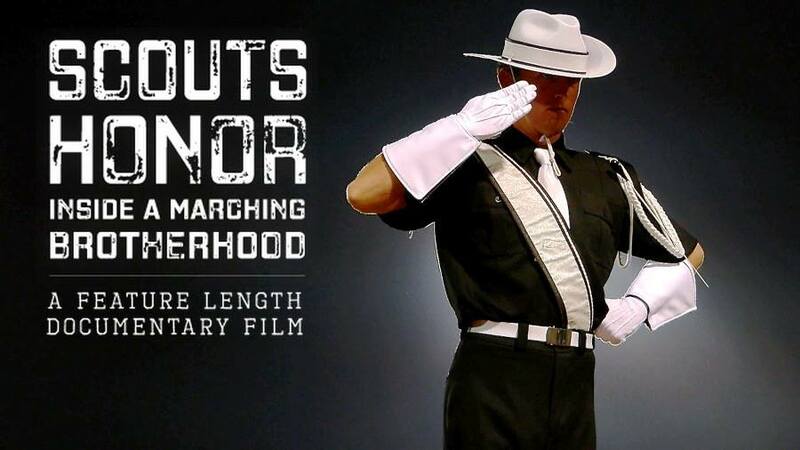 The documentary follows the 2012 Madison Scouts through their season and focuses specifically on three members: a rookie trumpet, a returning snare, and a guard age out. The first sounded notes of the film set the tone: They are from Malagueña, a piece that Madison played in 2012 but has had other notable appearances in the corps' history, including their championship in 1988 and fan favorite A Drum Corps Fan's Dream Part Dos in 1996. This introduction sets the tone in more ways than one: Both musically, and by revealing that the film is, by design, as sonically true as one can be to a drum corps show without being present. While I'm certain my living room speakers didn't do it justice, I know it's something in which the directors took great pride. For those of us already familiar with the activity, the beginning goes a bit heavy on the "what is drum corps?" which I understand is absolutely necessary for unfamiliar audiences, but feels a bit like your GPS directing you out of your own neighborhood. Still, it sets the stage for a documentary that, as the full title suggests, tells the story of the brotherhood the men in the corps share. So is this the story of three young men and the 2012 season, or of the now nearly 80 year history of the corps? Yes. While the story is told through the then-current season, the continued theme is the longitudinal brotherhood that the corps members share not just with their brothers at that moment in time, but the generations of Scouts that came before them. It even shows the transition as the 2012 ageouts join the ranks of the alumni, and implores them to continue the support of the men they leave behind who can return to the corps. In one scene that stood out given my professional and personal interests, it is clear that within this band of brothers are brothers of another sort: A member of Lambda Chi Alpha and a member of Tau Kappa Epsilon, stand, arm in arm, bound by their Madison Scouts brotherhood. Moreover, the members of the corps - one of the young men featured in particular, learned, in the truest sense of the corps song, you'll never walk alone. Another piece that I noticed due to my personal interests is that the film steered clear - whether by design or chance - of sports analogies. In describing the role of the center snare, for instance, a quarterback or point guard analogy may have been apropos, but it never came up. Whether intentional or not, it allowed the activity to stand on its own two feet. 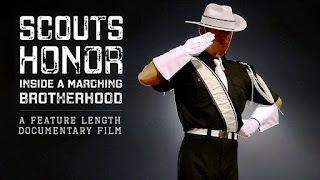 On another personal note, it dawned on my while watching this film that I actually didn't see Madison live during the 2012 season, so there was genuine, drum corps fan joy in watching their show come together. I've waited quite some time to see this film, and it was worth every bit of it. I urge you to check it out as soon as you can; for Apple users, it's available for $0.99 rent of $9.99 purchase via the iTunes store.